love-love-love the color. i am kicking myself because i had this polish in my hand and put it down... now i have to go back and get it! Nails look so great Elizabeth! I love this color! For some reason though essie nailpolish never looks as good on my nails as OPI! I don't know what is wrong with me! Oh, I do like it! I love flashy colors like that on my toes and have been wanting to get a few Essies! 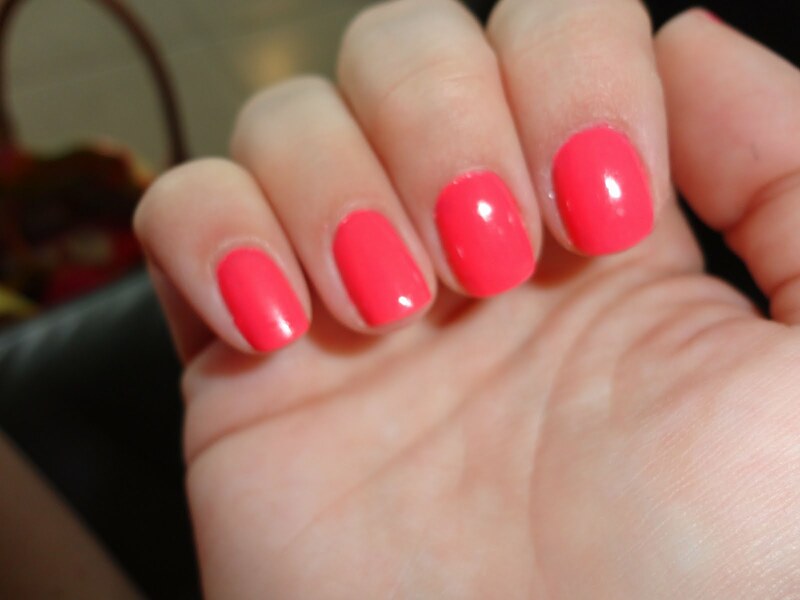 Perfect summer color!! Plus, what girl doesn't love a fun pink for her nails? I'm wearing a color that looks just like that! :) So cute. Happy 4th. Love the color. Wouldn't it be a great job to name crayons and nail polishes?